Aids in the relief and prevention of pain associated with Tendonitis, Tennis Elbow and Carpal Tunnel Syndrome. Comfortable pneumatic compression; helps reduce swelling and edema. 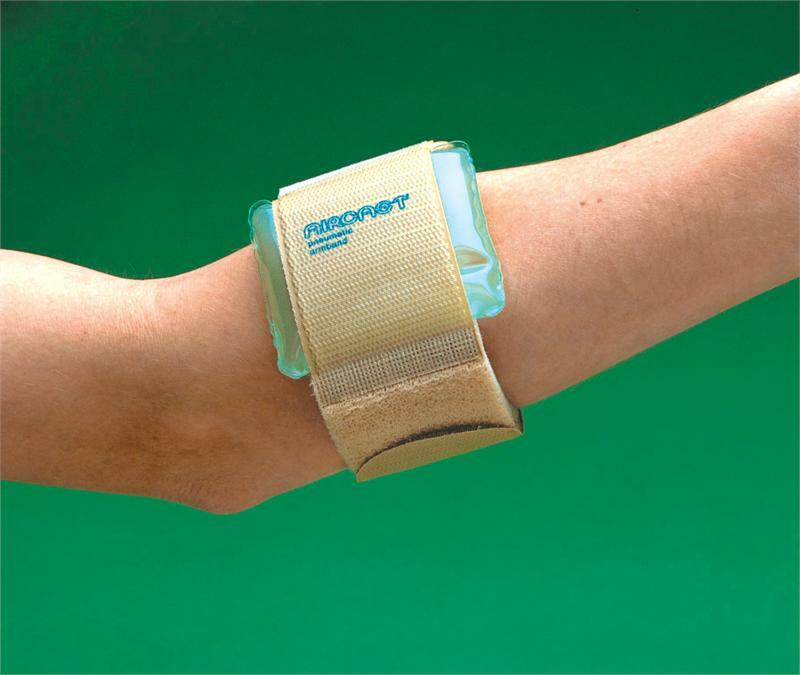 Contains a small air cell that focuses more compression on the involved muscle, and not around the arm, providing more support, less constriction.